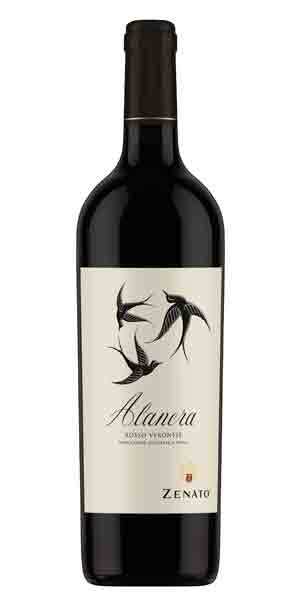 The name of this wine, Alanera, translates as “black wing” in English, a reference to the Italian word “corvo” for raven, which in turn makes it a tribute to the main local grape, Corvina Veronese. This wine is a blend of Corvina and Merlot. Dark berry, chocolate and spice with walnut notes. Full bodied, round and velvety texture.